With the confirmation that ‘TA2 Thailand’ will join the Thailand Super Series (TSS) programme for the 2018 season the build-up to the launch of the new series is now kicking up the gears with two TA2 machines set to be in dynamic exhibition action for the final round of the series in Buriram, which gets underway in a week and a half’s time. B-Quik Racing drafted in a professional driver to give them an extra edge at the last round. In this circumstance it was yet another new face into the paddock as Audi factory driver Pierre Kaffer assisted the team during its first day of testing, on the Wednesday, helping to set up their brace of R8s and coach their two drivers, Henk J. Kiks and Daniel Bilski. 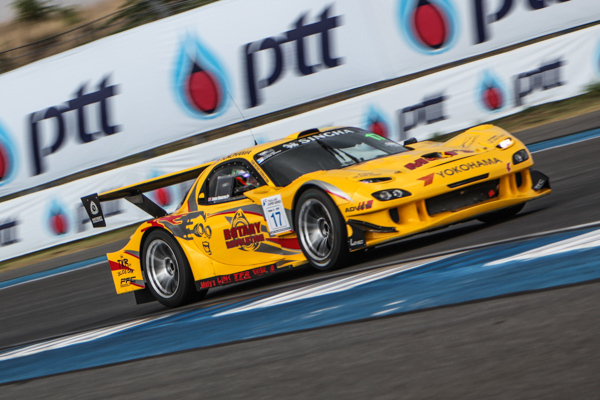 Ovr a long and dramatic weekend in Buriram, James Runacres was clearly one of the drivers that stood out, he looked pacey all weekend in the bright yellow #17 Mazda RX-7 as the Rotary Revolution engineers continue unlock more and more speed and agility out of this racecar. 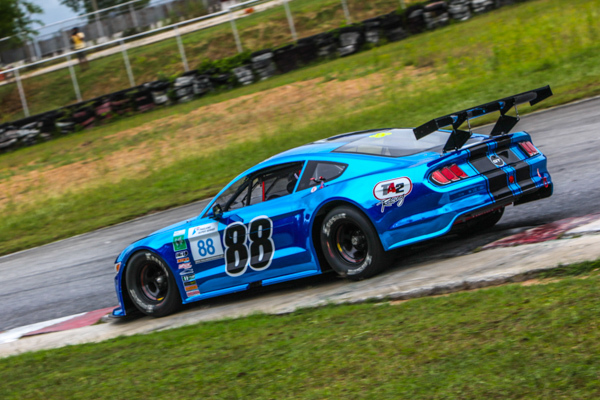 This ambitious racecar-built project, now nearing its second full season in TSS, is reaping the rewards of that development period and stands very close to achieving a first Super Car victory. Thomas Raldorf is on a real roll and the Dane – in the year he made his return to Super Car – now stands on the brink of grabbing the title after winning both races in Buriram last time out. Add that to his double win at the Bangsaen Grand Prix and that makes it four on the trot. 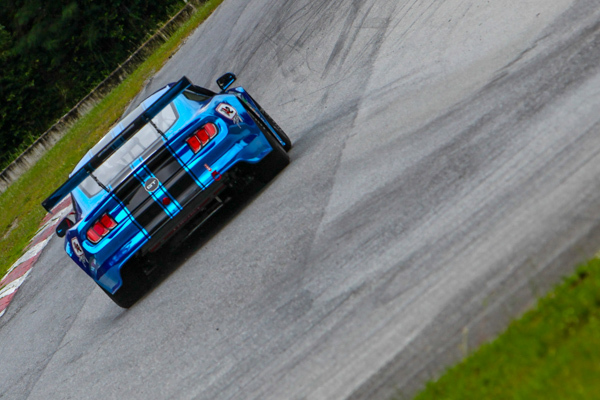 It’s certainly turning into quite a comeback for Thomas to Super Car. 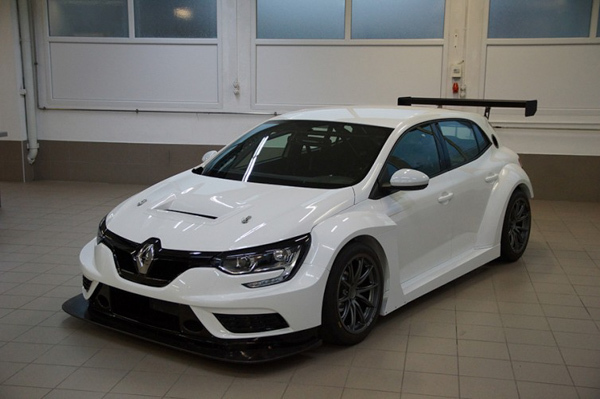 Finally, there will soon be yet another machinery option for the TCR Thailand competitors as Renault’s Mégane is in the process of being developed to TCR’s technical specifications by Swiss-based team Vuković Motorsport, joining a recently flurry of new cars that includes offerings from the Hyundai and Kia brands as well as a dramatic ‘second TCR generation’ Honda Civic from JAS Motorsport. With the confirmation that ‘TA2 Thailand’ will join the TSS programme for the 2018 season the build-up to the launch of the new series is now kicking up the gears with two TA2 machines set to be in dynamic action for the final round of the series in Buriram, which gets underway in a week and a half’s time. Ahead of that event, on the preceding mid-week, Wednesday 20th September, TA2 will hold a ‘Customer Test Day’ at the circuit for prospective drivers to try out the cars first hand. That will be followed up by demonstrations of the cars on both the Saturday and Sunday lunchtime interval breaks in the TSS programme. 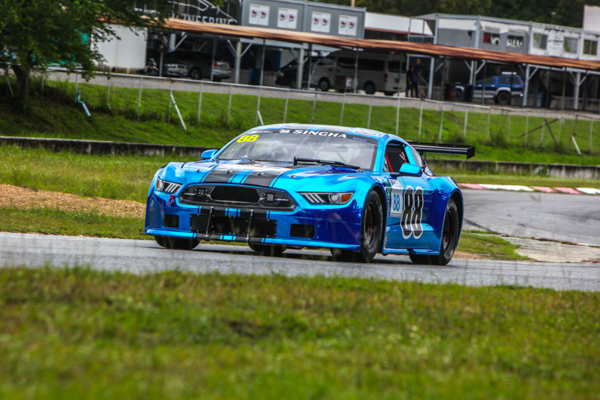 ‘TA2 Thailand’ got the ball rolling within the TSS schedule, by presenting a Ford Mustang TA2, which joined the Super Car GTC races, in ‘demonstration’ running mode, during the 10th Bangsaen Grand Prix back in February, and then again at July’s 11th edition. 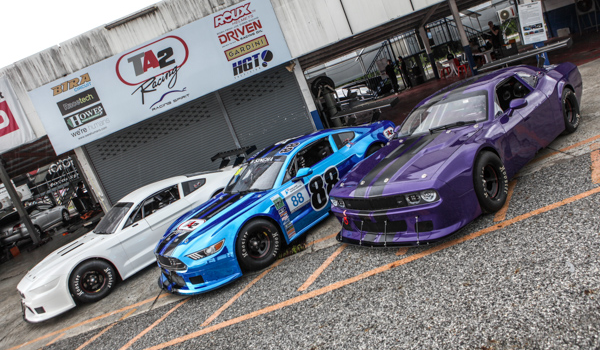 Now TA2 Thailand, with four cars already in the country, is moving the pace up by demonstrating a Dodge Challenger TA2 alongside the Mustang TA2, later this month in Buriram. 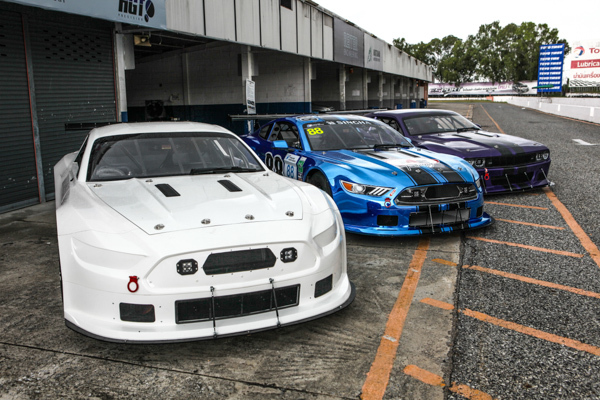 And there will be two brand new faces in the cockpits, as vastly experienced New Zealand touring and sportscar racer Craig Baird will be behind the wheel of the Challenger variant while the very familiar face of Grant Supaphongs will drive the Mustang TA2. The exciting new racing series, which will officially launch in 2018 in Thailand, is underpinned by a state-of-the-art ‘silhouette’ racecar that’s been thought out right down to the little details and offers drivers a capable track package: a ‘spec’ machine that allows user ability to be the benchmark thanks to that machinery parity while also developing their racing skills in an advanced racecar. The project is the brainchild of veteran Super Car competitor Craig Corliss, best known for running ‘V8 Supercars’, firstly a Ford Falcon and latterly a Holden Commodore. Craig Corliss’s idea is to fill a niche in Thai motorsport, slotting in between the evergreen A-, B- and C-segment production car categories and Super Car/FIA GT3 cars. 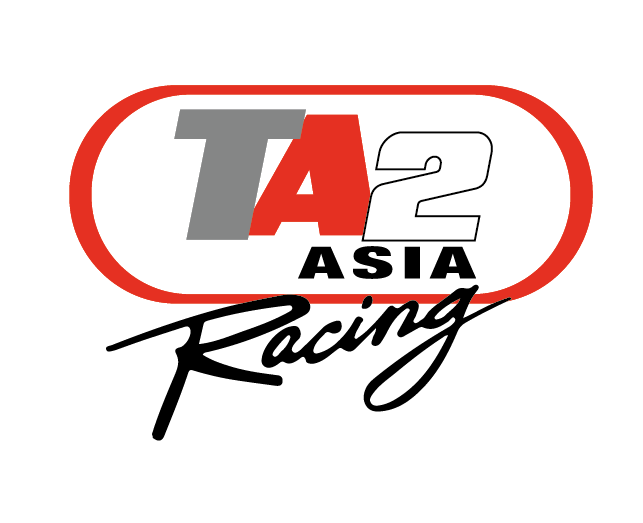 TA2 Thailand will allow drivers to make the step from any of the junior ranks, even to come straight from a karting background, and then hone their skills in a pukka racecar that comes at an affordable price and with low running costs. Putting Craig Baird into the car will provide an excellent benchmark of exactly what the car can do on a circuit like Buriram, he has track experience here and knows this type of machine while his experience and ability to win isn’t in any question – that stretches back more than quarter of a century as he kicked off his racing career in Formula Pacific in 1991 – and he won that championship at the first time of asking. 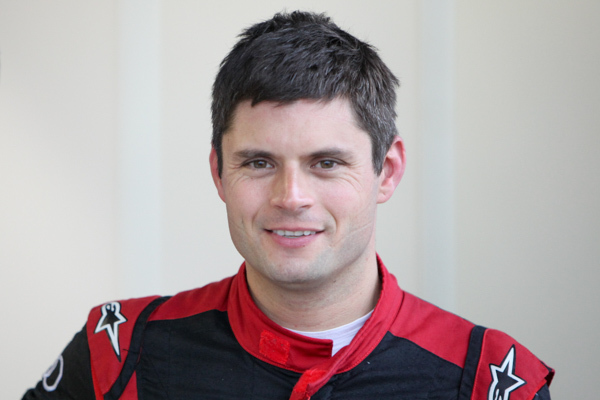 The now-46-year-old New Zealander is however probably best known for his decades of success in Porsche’s Carrera Cup ‘one make’ championships and has amassed an unrivalled eleven titles split between the Australian and New Zealand series. 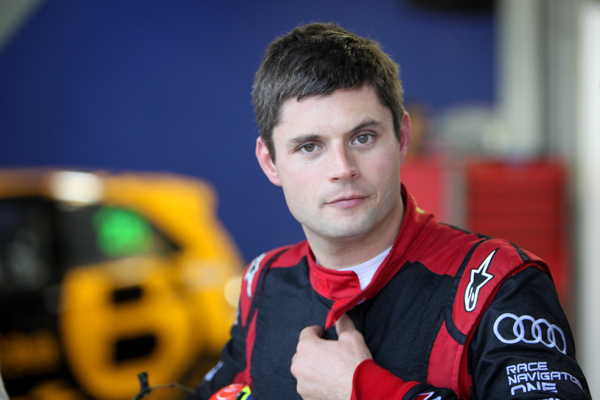 Craig Baird’s also got more than a decade’s experience racing the ‘V8’ Holden Commodore in the Australian V8 Supercars championship. When Porsche Carrera Cup Asia joined our round at the North East track two years ago – which resulted in his almost customary trip to the dedicated Porsche podium – an instant connection was made with Craig Corliss who was positioned halfway up the pitlane in his, then bright green, Holden Commodore. the Australian and New Zealand series. 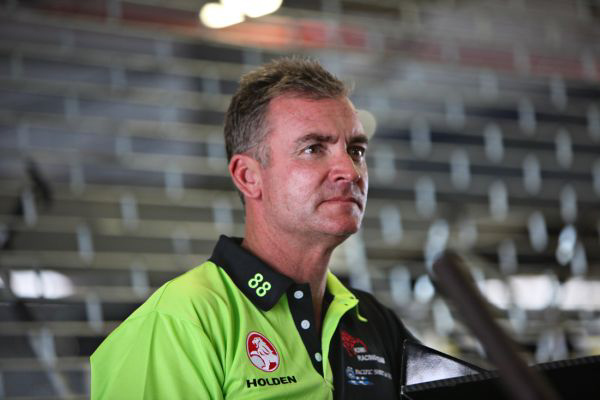 From that first connection Craig Baird has subsequently been back to both Buriram and Bangsaen to assist Craig Corliss’s Kiwi Racing Team to extract the max from the Holden and now that involvement is going to go a step further as he will test and demonstrate the Dodge Challenger TA2 in Buriram. This will be Craig Baird’s first time in the TA2 generation of racecar but it won’t be too much of a fresh an experience as he’s raced just about every super car brand and that usefully includes ‘Trans Am’ cars which he’s taken to victory multiple times back in his native New Zealand as well as competing in that series in its native USA. So he’s the perfect benchmark to see just what lap times the car can do and evaluate exactly where TA2 Thailand is going fit into the TSS pyramid next year. Grant, meanwhile, is a very well-known competitor in the Thai paddock and needs little introduction. 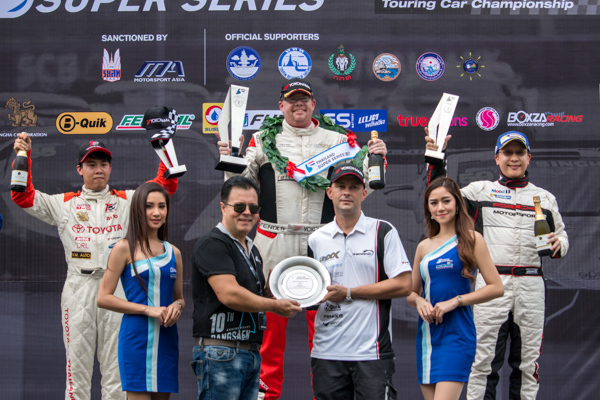 Last year he was a member of the Krating Daeng Racing Team in TCR Thailand and this year he’s driving in the Thailand Touring Car Championship, bagging a double victory during last month’s most recent round of the series. He was also part of Toyota Team Thailand’s factory entry in this year’s Nürburgring 24 Hours and he knows Chang International Circuit inside out, so he’s razor sharp and ready to put his skills to good use behind the wheel of the Mustang TA2. 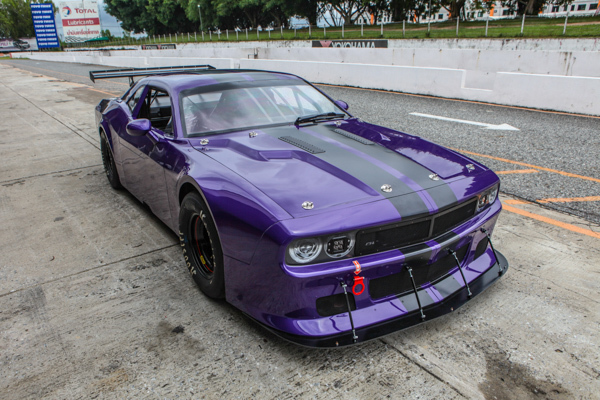 The machine that Craig Baird and Grant will power out onto the track is underpinned by a ‘spec’ spaceframe chassis that currently comes with the option of three body styles – Ford Mustang, Chevrolet Camaro and Dodge Challenger – and all are fitted with the same 6.2-litre GM V8 engine. That use of a common powertrain keep performances level and reduce costs – that gives it a bite to match its looks. TA2 Thailand has dyno’d the car to set it at producing 565 hp and a highly impressive 550 lb/ft (745 Nm) torque at 6,500 rpm on Maxima Racing Fuel. 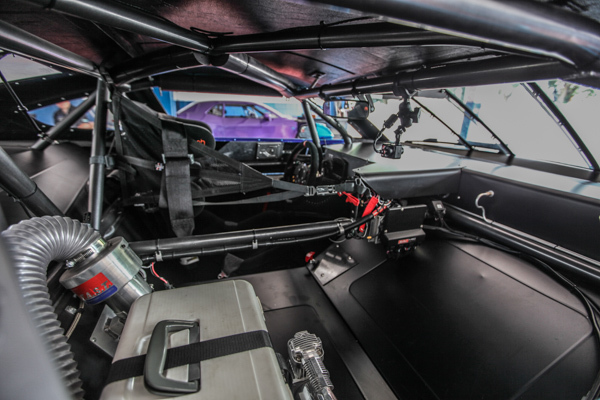 All the components used in the TA2 racecar are sourced from high quality component manufacturers, such as the Penske 2-way adjustable shock absorbers, and it has a fully integrated safety package including a plumbed in fire extinguisher system, (both auto and manual) internal and external kill switches and the recently introduced lateral driver safety nets. 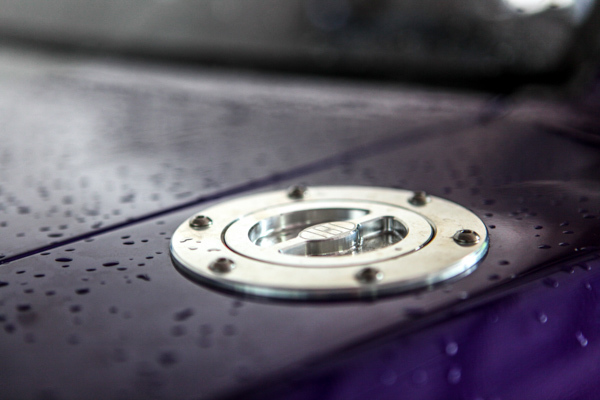 While being identical under the skin in chassis and powertrain terms, every single body panel, such as the bonnet, doors and door pillars as well as the front and rear windshields, are unique to the respective versions. The whole package weights at around 1170 kg. The TA2 concept is currently a hot property in U.S. racing with 40 plus car grids and is also booming in Australia and Scandinavia but for ASEAN markets its dynamics have been raised further with core revisions to the cars. After a development programme here the cars are all fitted with a bespoke 6-speed paddle shift operated sequential transmission by HGT as well as featuring a fully integrated MoTeC M150 engine management and data acquisition system. Additionally, they come with a 9-inch Detroit locking diff, Auto Blip and Traction Control which further improves driveability. 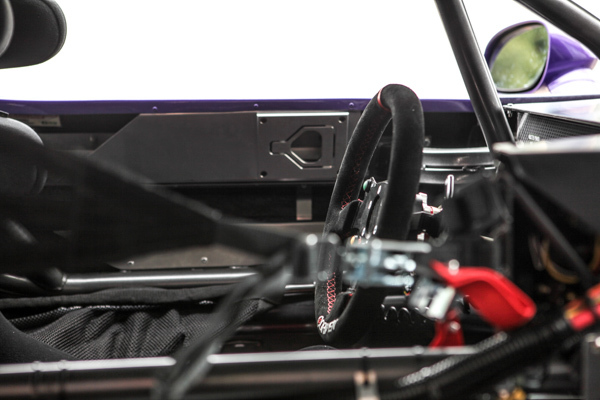 As a pure racing car, the TA2 cockpit has been optimally designed for only the driver. TA2 Thailand however also offers the option of a 2-seat/2-door version which, while featuring a number of revisions, still fits into the ‘spec’ chassis format and is ‘ready to race’. Changes to the 2-seat/2-door version include alterations to the chassis, reformatting of the cockpit layout, including fire safety system, and rerouting the exhaust system. 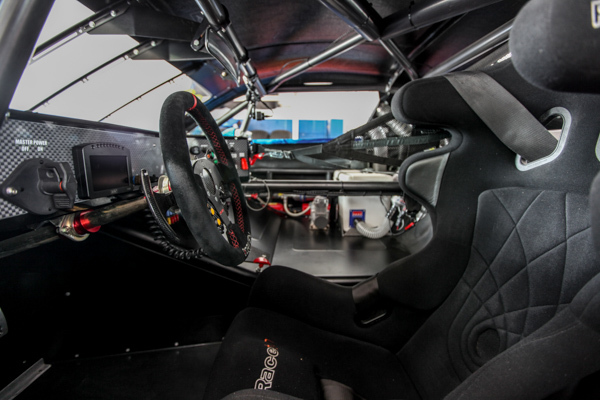 This car comes equipped with the specific Thailand upgrades and will be the version – the Challenger – that’s driven by Craig Baird in Buriram next week. 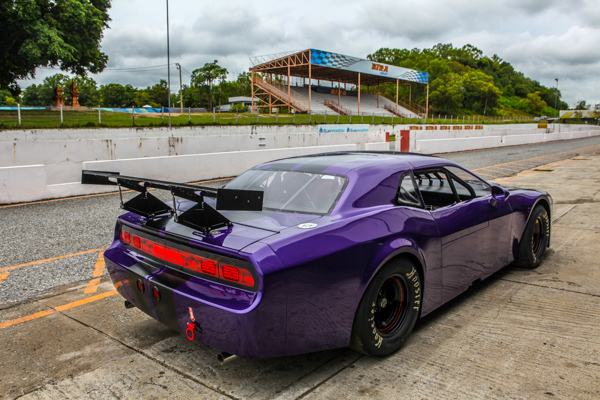 There will also be another upgrade for TA2 Thailand in Buriram as the Challenger will be fitted with custom designed 18-inch alloy rims, instead of the car’s usual 15-inch steel wheels and American-style big wall tyres. This will allow TA2 to phase in this option and evaluate control tyres – as well as allowing for representative lap times – well ahead of the 2018 season. “It’s very exciting news that TSS have confirmed a TA2 championship for 2018,” says Craig Corliss. “That’s subject to five cars being on grid, but should there not be five cars by the first round TSS we will slot the cars in, where exactly will depend on the times at Buriram this month, so TA2 will be able to progressively build up. 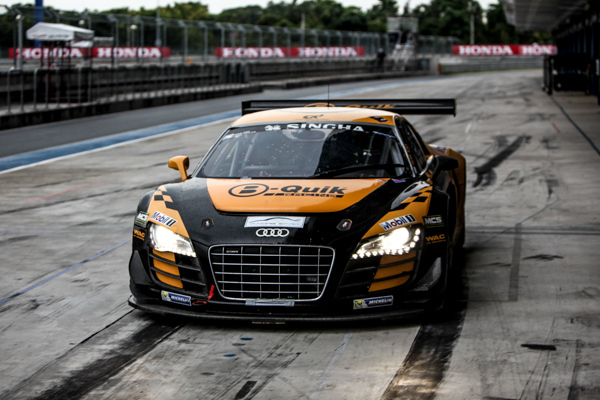 At the last round of TSS in Buriram, B-Quik Racing joined the list of teams to draft in a professional driver to help them. In this circumstance it was yet another new face into the paddock as Audi factory driver Pierre Kaffer assisted the team with its first day of testing, on the Wednesday, helping to set up their brace of R8s and coach their two drivers, Henk J. Kiks and Daniel Bilski. Pierre supports Audi customer programmes so was a perfect fit to help the team unlock more from its roster of Audi R8 LMS Cups, which also featured some minor updates. The life of the professional racing driver is one of being constantly on the road and – despite looking remarkably fresh faced – Pierre in fact had to make quite a journey to hook up with B-Quik’s Wednesday test. 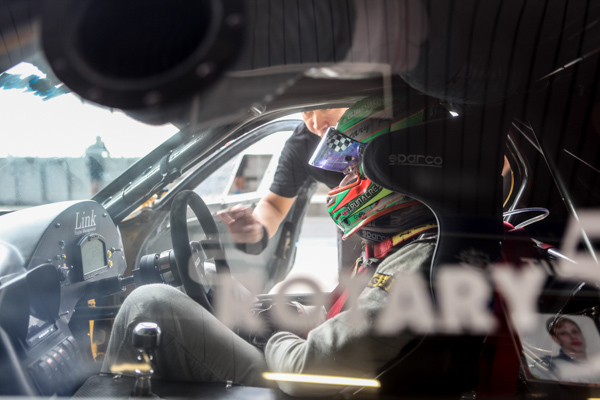 He was sharing the cockpit of a Magnus Racing Audi R8 LMS Cup in a round of Pirelli World Challenge held at Utah Motorsport Campus, near Salt Lake City, last weekend and then came direct to Buriram. 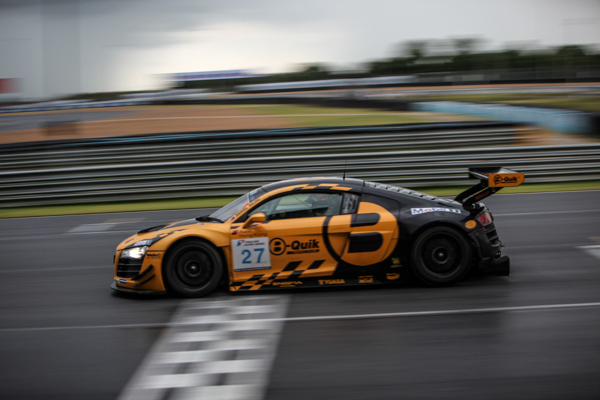 With job done for B-Quik, on Wednesday evening Pierre back was on a plane to Europe and counting down to getting back on track, this time it would endurance action in Portugal, driving an Audi TT RS2 in the Portimão 24 Hour. 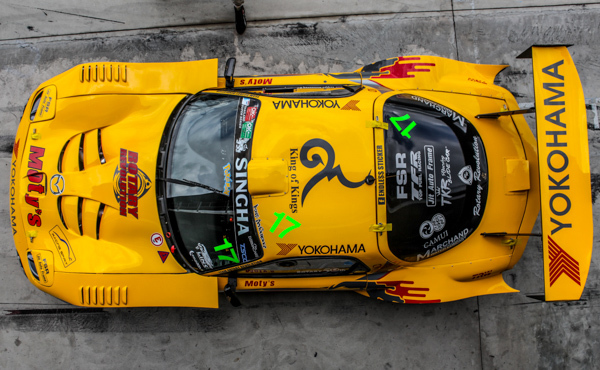 During the last round in Buriram, James Runacres was one of the drivers that stood out, he looked pacey all weekend in the bright yellow #17 Mazda RX-7 as the Rotary Revolution engineers continue unlock more and more speed and agility out of this racecar. 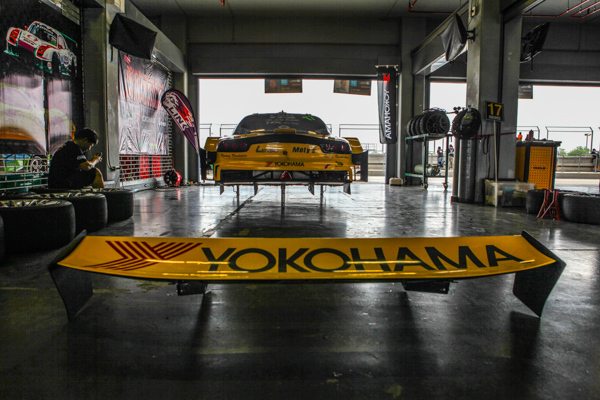 This is the team’s second full season in Super Car GTC after a brief toe dip towards the end of 2015 – and now with three of these self-developed and built racecars on the entry list (the other two RX-7s are driven by Narin Yensuk and U-tain Pongprapas) they have grown into the numerically strongest team in the category. Their story is unique, it’s one of a deep seated passion to race and a desire to prove themselves – and the robust capability of rotary engine power. Rotary Revolution has been racing in Super Car for the best part of a decade, however the team decided to kick its participation up a big gear by building their own breed of racecars – pushing back at a trend that has seen Super Car becoming almost exclusively the preserve of turnkey European machines that come ready to race, just the factory Toyota team currently races its own developed machines in both Super Car GTM and GTC. 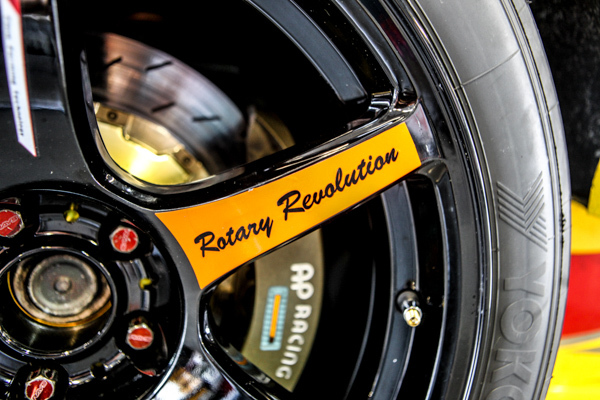 Instead of following the trend Rotary Revolution really wanted to prove they could build winning cars themselves and keep a long standing Thai tradition of motorsport preparation alive and well. There is another neat little twist too, this year Mazda is celebrating the 50th anniversary of its iconic Cosmo Sport, the first rotary-powered production car in the world. Never forgetting their place in the bigger picture and in a small nod to that milestone, the #17 Mazda is proudly displaying ‘50th anniversary’ decals. After many seasons spent proving that rotary engines can race reliably – they have never suffered an engine failure in Super Car – the stakes have been raised much higher and they are hungry for wins. That first win would appear to be very close. Last year they won the Teams’ title, an impressive achievement, although the strength in numbers they put out on the grid did help them past the post. This year though they have really bridged the final performance deficit to join the GTC front runners. Into the #17 car has come James who has a strong pedigree in Asian Formula Renault Series, the single seater championship, behind him and after spending a bit of time adjusting to life with the engine in front of him, a closed cockpit sportscar with much reduced visibility, and which is twice the weight and thus needs a much bigger braking window as well as a totally different style he’s really come good and this season his pace has been improving with each round. In Buriram last month, having been caught right out when qualifying was cancelled due to rain as the team hadn’t shown their hand in Free Practice, which would decide the grids, James retired with transmission problems in the first race. But he proved a point by setting the fastest lap of the race. Come the second race though and the 23-year-old Englishman really showed what this driver-car combination is about. Starting from the back of the grid there was a yellow missile out on track as James picked off place after place, slicing his way into the podium positions and then getting all the way to P2. Race leader Thomas Raldorf (see separate story) had started from pole and the Dane had proceeded to romp away at the front. But by the time the chequered flag was waved James was just 4.6 seconds off his tail. Last to runner up and the fastest lap for the second consecutive day – it was job well done by driver and team. So where have this year’s gains from? Rotary Revolution Team Manager Titapon Phaojinda is the man who first off had the big dreams to develop his own breed of racecar and take on the win-proven turnkey machines and secondly had the ambition and drive to make it all happen while also putting his reputation on the line. He reckons it’s been a step-by-step progression. They built the cars and then set out to unlock its potential, learning about it dynamically and slotting in the right pieces in terms of the driver and engineers. He says that they haven’t really made any major upgrades for this year. “We have adjusted the suspension and the setting and learnt more about this,” Titapon explains. “The engine is the same, we’ve done nothing with the engine, only the ECU which we tuned with the tuner from Japan. That’s the first big piece to be added to the jigsaw this year, the arrival in the garage of legendary Japanese rotary tuner Toru Kumaki. It’s not often the many international engineers lurking in the TSS garages see much demand for ‘selfies’, but in the case of Kumaki there is a steady stream of paddock people wanting to have a photo with him. The other big piece slotted in was to put James into the ‘hot seat’. The young driver arrived from a career spent in single-seaters and he’s really gelled with the team – driver and engineers bounce of each other and most importantly push each other on. You can cut the ambition with a knife. 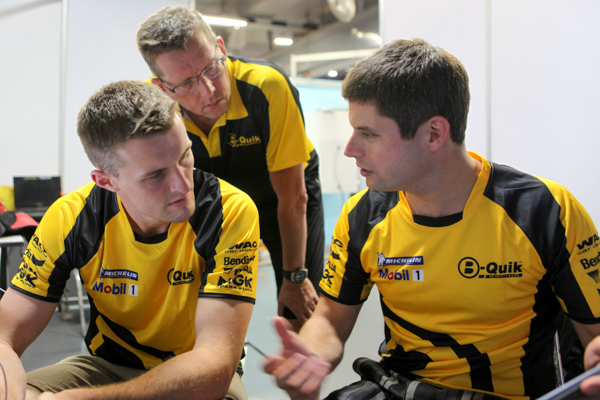 Team and driver have been able to extract their respective strengths and harness them to push the programme forward. “The key thing from James is his braking, that’s making a lot of difference,” explains Titapon. “The car is fast but we’re not the fastest car in a straight line but it’s his braking gives us an edge. 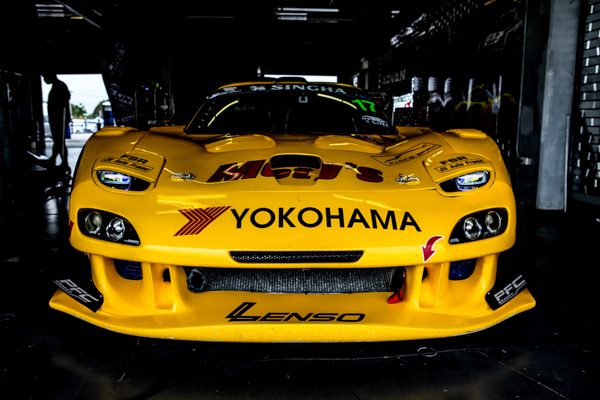 It’s also a statement of just how far they have travelled with this project that it’s expected now for the yellow #17 RX-7 to be automatically included when considering the potential winners in Super Car GTC. And it’s a car that’s assembled from the ground up in Bangkok, the team also building the engine. James has three points scoring finishes now this year, two second places and a third, which leaves him fourth in the championship standings and just five points off third place which is a realistic target if he can bring in the results during the final two races of the year. This team goes about its business without a lot of fuss, without too much shouting – but real ambition runs deep in their veins so watch out for them over the coming seasons, clearly they’re going to get stronger and stronger as time progresses. Clearly too that first win isn’t far away now. 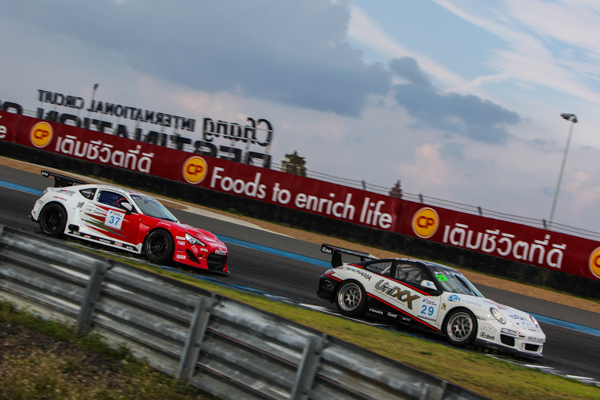 Thomas Raldorf is on a real roll and the Dane – in the year he made his return to Super Car – now stands on the brink of grabbing the Drivers title in GTC after winning both races at Buriram last time out. Add that to his double win at the previous round, the 11th Bangsaen Grand Prix, and that makes it four victories on the trot. 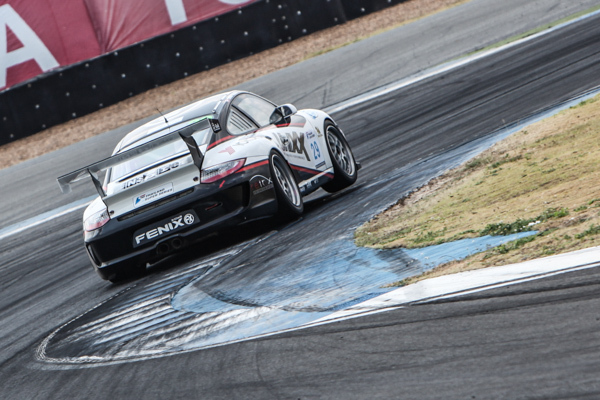 Despite that setback Thomas was able to finish both races on the podium and emerged from Buriram with 25 points. 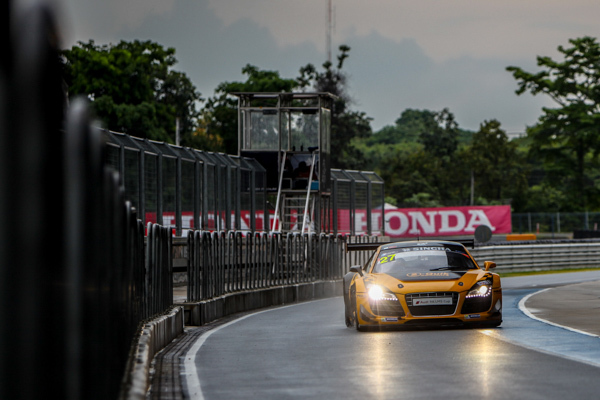 That kept him second in the championship standings and well placed to mount a fightback as the series headed for the Iconic streets of Bangsaen. It turned out to be pretty much a perfect weekend. 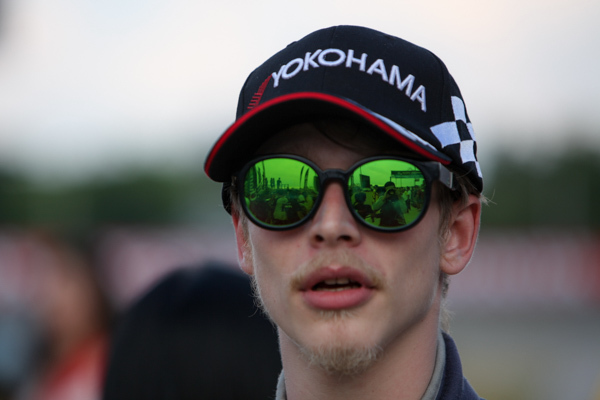 “In Bangsaen we had two pole positions, and two fastest laps and two wins, which brought us, back in the title fight for the Drivers’ championship,” Thomas notes. With his first maximum points score of year in the bag, the Dane was back in the hunt and at the last round he was able to build on that progress – there was to be no repeat of the season opener. 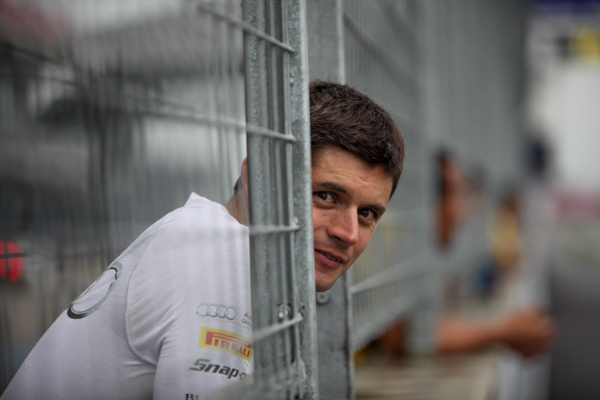 “In Buriram for Rounds 5 and 6, we had to try and get to wins to take the lead of the championship for the first time this season and to try and put our self in the best possible position for the final two rounds in September,” Thomas recalls. “In Thursday’s practice sessions we were fastest and set a new personal best lap time of 1.44.607 and in the official practice we were again fastest in our class. With qualifying being cancelled due to rain, the lap times from the official practice was used, which meant we were starting from pole in both races. “Starting from pole we had a good start and were helped further by all the cars fighting for positions behind us, so we had a clear track and was able to pull a good gap while everybody was losing speed fighting with each other,” he continues. “Towards the end of the first race, I saw James Runacres coming up through the field fast, and in the process setting the fastest lap of the race. I knew that given a good start in Race 2 he could become a threat even though he was starting last. The pace of the Mazda was the biggest threat to Thomas wrapping up the weekend with another maximum points score. “The sector times showed James was around 1 second faster than me in the first sector which is the high-speed sector, so if he would be close enough I would not be able to keep him behind me down the long straight,” he says. “I therefore pushed very hard in the first 5 laps of Race 2 to get as big a gap as possible so I hopefully would be able to keep him at bay. Towards the end of the race he was up into second and chasing me down. He ended up only 4 seconds behind me having come all the way from the back of the grid, and in the process actually helped me to increase my championship lead to 11 points before the last two races. With the final round coming up in less than three weeks’ time, Thomas is going to have a fight on his hands as he chases the points he needs to secure the title. “It’s my guess that James [Runacres] will be a strong contender for the top step of the podium along with Khun Manat [Kulapalanont], my team mate [Charvanin Bunditkitsada] and myself, so the last weekend will be very exciting to watch,” he adds. Not long to wait to find out either. There will soon be yet another machinery option for the TCR Thailand competitors as Renault’s Mégane is in the process of being developed to TCR’s technical specifications by Swiss-based team Vuković Motorsport, joining a recently flurry of new cars that includes offerings from the Hyundai and Kia brands as well as a dramatic ‘second TCR generation’ Honda Civic from JAS Motorsport. “We have put all our energies and resources in this project with which we want to demonstrate the benefits of our systematic and high-quality approach to ultimate performances within the given rules. We wanted the Mégane TCR to have all the ingredients it takes for being a sound and competitive car out of the box.” Vuković said.